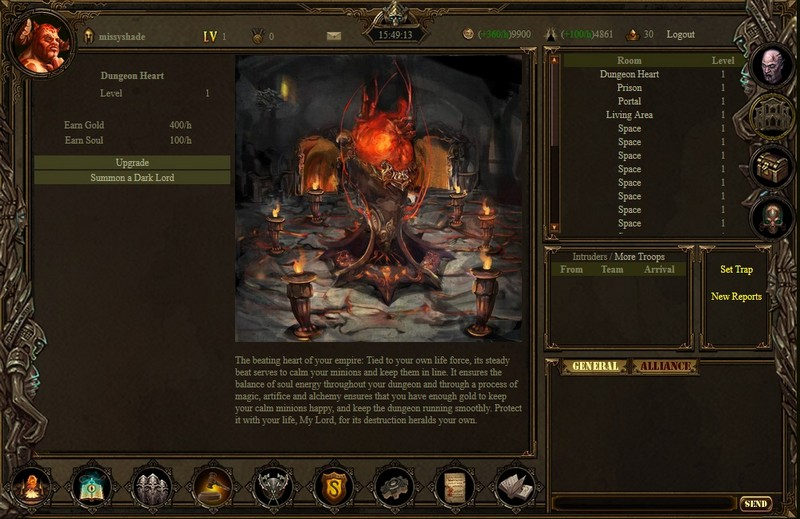 Dungeon Inquisitor is a free to play browser game where you take the role of a cruel Dungeon Inquisitor. Trap, capture, and interrogate humans for profit and personal gain - and strive to become the overlord! Trap and Capture: Trap, fight, and capture humans, then interrogate them to gain more useful information or to convert them into minions. 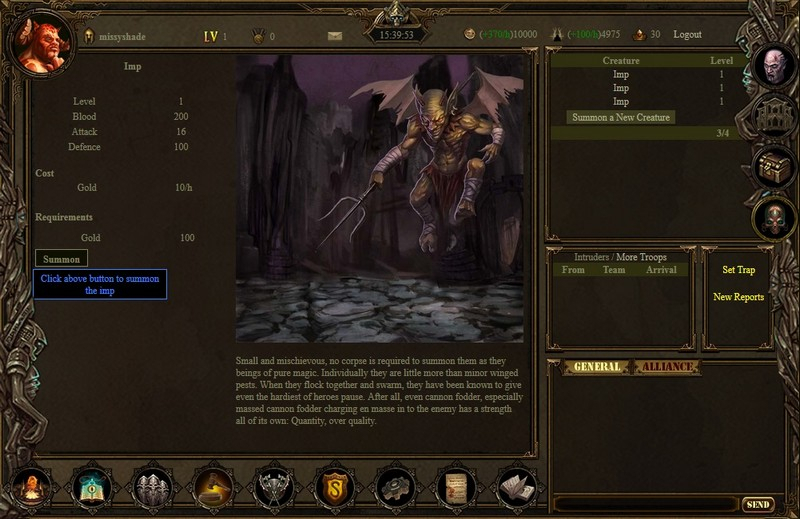 Train and Recruit: Summon, recruit, and train a personal army, from weakling imps to skeletal warriors and more. 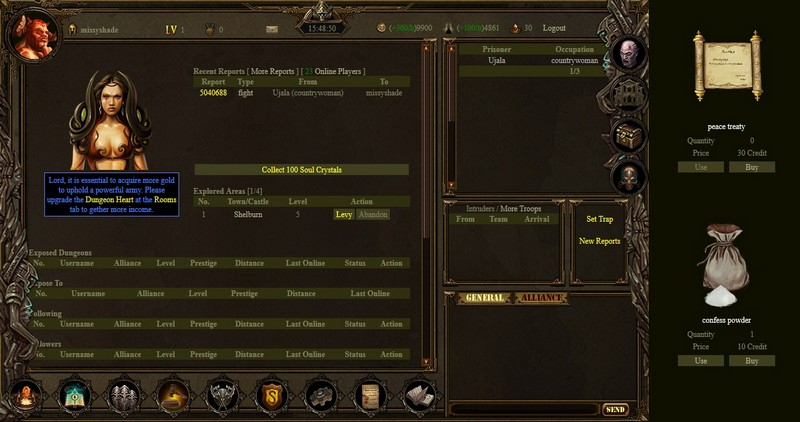 Chat and Compete: Make friends and followers in the game's community, enter weekly contests, and conquer others.